Work in Canada! Take advantage of the many arrangements and agreements Canada has made with many countries around the world for youths from 18 to 35 years of age to experience one year of travel & work in Canada! Is it a lifelong dream of yours to come and experience Canada - or maybe even the Canadian Rockies? If a two or three week holiday just doesn't cut it, (just too many places to see and too many things to do in such a short period of time!!) maybe a working holiday is just what you need! Maybe you are seeking a break from your university studies or would like to experience a new culture before you start your career in the real world. Perhaps you are looking for a chance to explore a new place and make new friends here in the Canadian west for the next chapter of your life. There is a lot to see and do here in the west. Many companies are tourist-based and seasonal, and this creates numerous opportunities for short term positions making it quite easy for someone on a working holiday to gain employment. 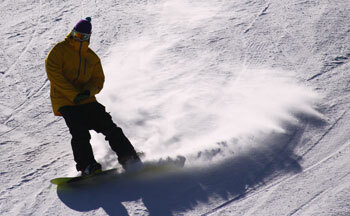 - using your free time to ski or shred here in the Rockies or over in Whistler, British Columbia! Spend some time exploring Alberta and British Columbia and look into the thousands of businesses in need of staff during the peak summer season. 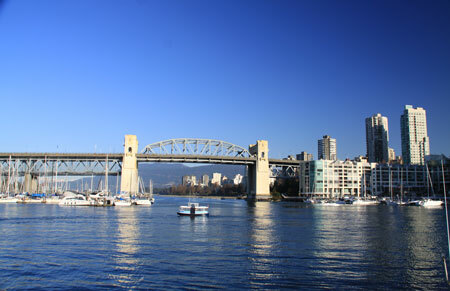 Maybe you love the water and would find a summer job on the west coast the ideal place for you. There are numerous opportunities across the country to suit many different interests – you just have to do the research, talk to people and make it happen. You might be wondering about accommodation while in Canada. Generally speaking, affordable accommodation isn't a problem since many employers in tourist-oriented areas have staff housing for their staff. Many of the hotels and ski resorts here in the Rockies have staff housing. When I first moved to the Canadian Rockies, I had numerous friends who had come to live here for a year on a visa. I noticed with many of my newly-found friends that they truly wanted to make the most of their time exploring and experiencing the area. I spent many days skiing and hiking numerous areas of the Canadian Rockies in my first year with these friends. It was a very special time for all of us and what made it even more special was the fact that the 1988 Winter Olympics were taking place in Calgary and Canmore. After all these years, I am still in touch with many of these friends. I went on an Australian working holiday when I was 22 years old and found it to be one of my most rewarding experiences of my life. I learned so much on my six-month journey and many of the lessons I learned, I still use today. "Go confidently in the direction of your dreams. Live the life you’ve imagined."